Beth Keegan began her career at Armstrong Ambulance Service in 1995 as a payroll manager, back when run reports were handwritten and timecards were printed on paper. After succeeding in her payroll position, Beth was promoted to the position of Payroll and Benefits Manager, where she excelled for many years. 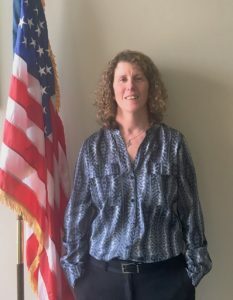 Beth was subsequently promoted to her current role as Director of Human Resources, a title she has now held for over 11 years. Through her years counseling employees from their first interview with the company, throughout their career at Armstrong and beyond, Beth has built a solid rapport with both field personnel and management. Beth Keegan exemplifies Armstrong Ambulance’s commitment to its employees. She is a proven leader with an expertise at forming trusting relationships, and a passion for both human resources and the ambulance industry. Beth has always taken the time to listen to each and every one of her employees. With a smile on her face, Beth is constantly looking out for all of her colleagues and always acting as their greatest advocate. She prides herself on her ability to provide employees an alternative channel to express their concerns. Beth has consistently demonstrated a high degree of integrity, influence, and pride to support both the needs of the organization and staff. Beth enjoys her work because she wants to give back to her employees who give so much to their patients every day. Beth is a true Star of Life to all of the men and women who proudly wear the Star of Life on their uniforms. Armstrong Ambulance is proud to nominate our Director of Human Resources, Beth Keegan, for her great work and support of EMS.